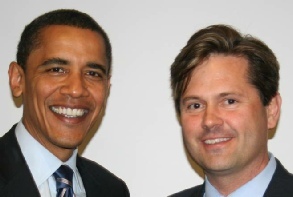 On January 20, 2009, Barack Obama took the oath of office of the President of the United States of America. Among the many traditions and festivities of this historic event, there is one of particular note for those in the numismatic hobby: the striking and distribution of the official presidential inaugural medal. Since 1901, an official inaugural medal has been struck every four years to commemorate the inauguration of the President of the United States. The medal is commissioned by the Presidential Inaugural Committee, and is the official inaugural souvenir. One medal is traditionally struck in gold for the President, with medals struck in bronze, silver and since 1974 -- gold (but different sized) medals struck for sale to the public. Revenue generated from the sales of these medals is used to subsidize the festivities related to the inauguration. While the medals have been issued in a number of different sizes, the 2 3/4 inch or 70mm bronze medal is what most experts would describe as the traditional sized medal. Since 1953, a large size silver medal has been issued for sale to collectors, ranging in size from 70mm to 64mm. The medals have been struck at different mints, including the United States Mint, but usually have been produced by private companies which compete for the contract and the honor to produce this important medal. The 2009 medal will, in addition to carrying on a tradition over a hundred years old, mark the inauguration of this nation's first African-American President, and the first President to have been born in Hawaii. The sculptor and designer of the obverse of the Barack Obama medal is Marc Mellon, of Marc Mellon Sculpture Studio in Connecticut. The reverse of the Obama medal was done by Tom Rodgers, formerly of the United States Mint and probably best known to American numismatists as the designer of the reverse of the Sacagawea Dollar. The design of the 2009 official inaugural medal is traditional in that its face bears only a high relief three-quarters profile portrait of President Barack Obama. The portrait is centered and facing right. The President wears a stern and forceful expression. Breaking somewhat with tradition, the medal only has his first and last name, which unlike previous inaugural medals does not indicate his middle name or initial. Some may suggest that this may be a carry-over from some of the political sensitivity over Barack Obama's middle name, Hussein. Some past medals, however, have utilized middle names or initials, while others, such as Ronald Reagan's 1981 and 1985 medals, used neither. The use of the middle name or middle initial seems to be a matter of preference. For example, medals for Presidents Truman, Ford and George W. Bush all used the middle initial. (Truman's middle name is simply the single letter "S"). Whereas medals for Presidents Taft, Harding, Franklin Roosevelt, Eisenhower, Kennedy, Johnson, Nixon (1969 medal but not the 1973 medal) and Clinton all utilized the President's full middle names. Moreover, the medal for one President, Jimmy Carter, used his informal nickname "Jimmy" rather than his formal James Earl Carter on his official Presidential Inaugural Medal and no middle name or initial. The reverse of the official inaugural medal for Barack Obama features the official presidential inaugural committee seal, the first time this particular seal has appeared on a Presidential Inaugural medal. The seal, however, has commonly been a design element of official inaugural committee badges as well as tie-clips, glasses and inaugural buttons. The seal is situated at the top middle of the design. It is flanked by a partial wreath of olive on the left and of oak on the right. The inscription "44th President of the United States Inaugurated Jan. 20, 2009" drapes across the bottom of this somewhat classical design. The 2009 medal is being struck by the Medalcraft Mint and is being sold through the Presidential Inaugural Committee. At the time of this writing, (early January 2009) it is understood the QVC will also be selling the medals. This is at least the second time that QVC has marketed official presidential inaugural medals, the first time being for President Bill Clinton's second inauguration in 1997. At the time of this writing it appears that only a bronze medal is planned, and it is being offered for $60.00. This is a late offering, for a while it appeared that there wasn't going to be an inaugural medal produced at all. There is no indication that silver or gold medals are going to be in the offering, although it still is possible that they will be offered later on. The bronze medal is being offered with a wooden stand that can serve as a platform for the medal to be displayed on. For a collector interested in American history, the Barack Obama official inaugural medal offers an affordable, tangible and permanent link to the inauguration of this nation's first African-American elected President, as well as an affordable work of art from several of this nation's most highly regarded artists. As noted in my article that appeared in the winter 2009 issue of the MichMatist, the 2009 Official Presidential Inaugural medal was struck by the Medalcraft Mint and is being sold through the Presidential Inaugural Committee. At the time of the writing, it appeared that only the traditional sized 70mm medal would be produced. Since that time, the Presidential Inaugural Committee added two new options: a 70 mm antique .999 silver medal, offered at $400.00, and a three medal set consisting of the 70 mm antique bronze and 70 mm antique .999 silver medal along with a 14 kt gold medal in a fitted cherry case for $3000.00. (website: www.inauguralcollectibles.com). For collectors of presidential inaugural medals, the inclusion of the silver and gold medals continues an unbroken tradition that started with the sale of 70mm antique silver medals for Dwight Eisenhower in 1953 and the 32mm proof gold medals produced for sale in honor of Gerald R. Ford's 1974 inaugural. The Presidential Inaugural Committee broke with tradition somewhat in that the medal design was selected without forming a special medals committee as had been the custom of previous inaugurations. Indeed, the 2009 Inaugural marked the first time since the initiation of official presidential inaugural medals over 100 years ago that the selection of the obverse and reverse designs was not made by a specially designated inaugural subcommittee. According to Jim Elliot of Medalcraft Mint, approximately 15 designs were reviewed by the committee, but the President himself only reviewed the selected obverse and reverse designs. The Obama portraits were all done from photographic references. One option that has been somewhat popular over the years has been the offering of a smaller bronze official inaugural medal, usually 39mm and mounted in a commemorative card. The small bronze inaugural medals were offered for sale for the 1981, 1985, 1989, 2001, and 2005 inaugurals and were readily available not only on-line, but at local retailers as well as the gift shop at the United States Capitol. For whatever reason, the 2009 Presidential Inaugural Committee opted not to offer this popular and less expensive version of the official medal. In another deviation from past practice, the Presidential Inaugural Committee announced that it would not make available any of the official inaugural merchandise items to local Washington D.C. merchants. Thus, the Presidential Inaugural Committee website is the only place the official Obama Presidential Inaugural Medals were being sold, other than those purchased on the secondary market, prior to and during the inaugural. 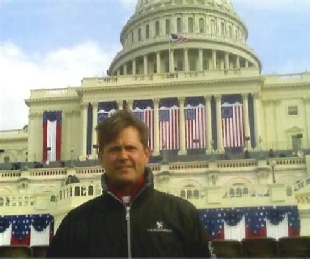 Having been in Washington DC over the inaugural festivities, I was initially surprised to find that none of the stores selling inaugural souvenirs carried the official inaugural medal or any of the official inaugural merchandise. However, a number of "high end" stores catering to the Inauguration tourist were offering several of the unofficial medals that were designed for consideration by the inaugural committee. These consisted of two different designs, both produced by the same mint that that did the official inaugural medal. One of these, pictured in this article, was offered in both the traditional 70mm bronze as well as the 39 mm bronze medal in commemorative card. These medals, were sculpted by Marc Mellon who did both the obverse and reverse. 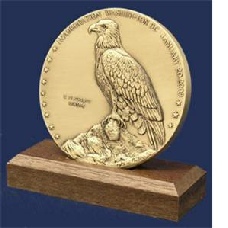 The "eagle" medal, notable for the reverse rendition of an American Eagle, was the most widely distributed medal. It was contracted for by one of the large advertising specialty companies for various local merchants to sell during the inaugural festivities. The obverse of this medal features a left-ward looking portrait of the new President. 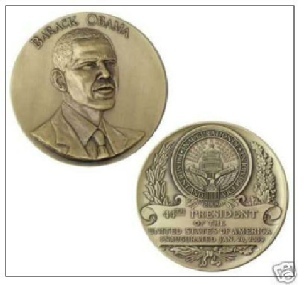 On this medal, "BARACK OBAMA" is on the top rim of the medal above the portrait of Obama which is gazing upwards. Under the portrait is the inscription, "44th President of the United States." Completing the circle around the rim of the medal are nine five pointed stars on both sides of the Obama portrait. There is no explanation for the significance, if any, of the 18 stars on this medal, so its entirely possible this is strictly a decorative touch. The Official Inaugural Medals of the Presidents of the United States, 2nd Edition, Richard B. Dusterberg, Medallion Press, 1976.